Keglik Junior High School started its activity on September 1, 2012, and as a result of the reform of the education system on September 1, 2017 it was transformed into a Non-Public Primary School. 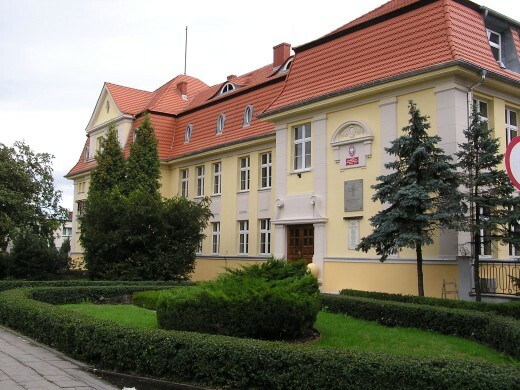 The school's governing body is the Association of Graduates and Supporters of the Secondary School of Insurgents of Greater Poland in Środa Wielkopolska. All teachers teaching in our junior high school are its members. The emergence of junior high school was a response to the growing need of local citizens to have a school that would be able to provide development opportunities and the highest teaching quality to the most talented youth. The goal of the school is to provide students maximum development opportunities through teaching using the latest ICT technology. Keglik Non-Public Primary School according to the guiding principle: "Recognize, support, develop – a talented pupil in Keglik" focuses on the most talented youth of our region. The prestige of our school is constantly being raised through numerous scientific and sports successes in the county, district and on the national arena. The top priority of our school is to give the possibility for our students to learn Europe through direct contacts. The student of our junior high school and the pupil of our primary school is a conscious citizen of the world, open to learning cultural differences and traditions of other nationalities. Such assumptions result from our activity in the field of writing EU projects and looking for international partners. Each junior high school student has a modern badge with a school logo, which attests to membership in the association society. At present, there are 119 students and 30 teachers. Lessons are held in modern equipped classrooms with interactive boards. Students are given the opportunity to take advantage of the wide range of extracurricular activities offered in Polish, mathematics, biology, chemistry and physics. They can attend the School Sports Club, historical club, theater workshops, artistic development and dance club. The School Volunteer Club also works at school. After a year of activity, we were given a prestigious title of "School of Talents Explorers " awarded by the Center for Education Development , which we value very much. "Keglik" High School received the title of Talent Hunting School in the school year 2013, which was awarded by the organizer of JERSZ competitions, which proves that our institution contributes to the discovery, promotion and support of talented youth. In the school year 2016/2017 our students won titles of laureates of national competitions 42 times. Since the 2016/2017 school year, every student of our school has been received a tablet with a complete set of textbooks. Students also receive access to a wide range of Microsoft programs, with which we work together on the use of modern software in education. We focus on the Erasmus + projects and we are the leading school in our country in terms of the number of projects approved. More than 40% of our students during 3 years of education have the opportunity to participate in foreign mobilities. Currently, we are implementing 5 projects in strategic partnerships and teaching staff mobility projects, which for the third time in a row have been subsidized after a very high rating by the National Agency. In Erasmus + projects we cooperate with Spain, Greece, Lithuania, Latvia, Portugal, Romania and Turkey.